Over the past 15+ years, Erickson Academy has performed throughout the Greater Cincinnati community! Shows connected to the Irish community at the Cincinnati Celtic Festival, the Irish Heritage Center and Molly Malone's are wonderful celebrations of all things Irish. Shows at historic Cincinnati icons like Music Hall, Cincinnati Museum Center and The Carnegie Center of Columbia-Tusculum highlight the rich ethnic traditions of the Queen City. Shows at festivals, libraries, schools, nursing homes and senior centers bring Irish dance to local organizations that might not normally be exposed to our vibrant dance and art form. Shows at wedding receptions and social events add joy to an already joyous event. If you'd like to book Erickson Academy dancers for your next show (big or small), please contact us and learn more about our performances! Libraries might normally be quiet places, but not when Erickson Academy dancers arrive! Our dancers love to put on a great show and teach the children in the audience a traditional ceili dance and how to stand like an Irish dancer. 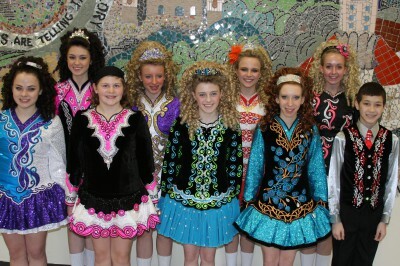 During the St. Patrick's Day season, you can find Erickson Academy dancers reeling around Greater Cincinnati schools. We share our love of Irish dance with students during these performances by incorporating the history of Irish dancing with fun facts and even make their teachers join a dance -- talk about fun! And many, many more . 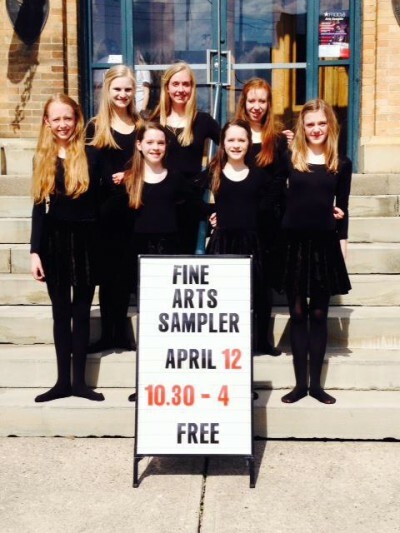 . .
Erickson Academy dancers bring smiles to seniors! Dancers interact with the audience before/after performances and explain their costumes, talk about classes and where they go to school. 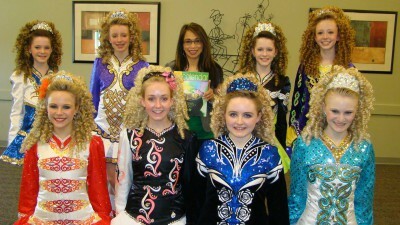 We're always amazed of how many people have traveled to Ireland and how happy our dancers make them!